Virtual sports has become extremely popular in recent times due to the growing fascination with games such as Fifa, Football Manager and other fantasy sports video games. 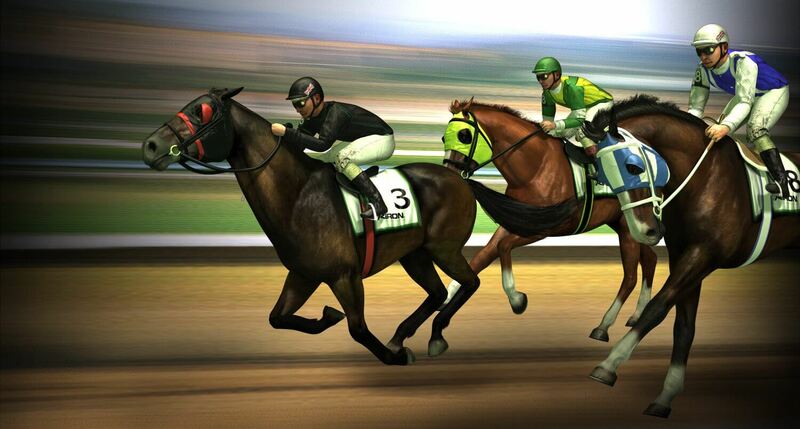 Along with the growth of such games comes the introduction of virtual betting. Now, not only can you create your very own fantasy teams, but you can also place wagers on computer-generated matches and leagues including sports such as football, baseball, hockey and horse racing. Continue reading to discover all you need to know about virtual sports betting and it's advantages. Bookmakers are constantly looking for new ways to offer their clients additional betting opportunities. Virtual sports betting has therefore become an important part of every bookmaker’s sports betting offer. Virtual gaming products provide customers with a new user experience and entertainment, however the new phenomenon has received mixed reviews by punters online. The process involves gambling on virtual games that are set up by whichever bookmaker or site you choose. The outcomes from each match or event are generated by a computer algorithm which picks the winner in a non-bias way. Furthermore, games can be played at all hours of the day, every day for users wishing to wager. Customers gamble on the eventual outcome of their chose event/team by taking into account the odds offered, the fake histories and player profiles that are provided by the site. Today, as many more bookmakers begin to offer virtual sports betting options the graphics and features offered are becoming extremely advanced and innovative. The virtual matches that customers can bet on and watch are modelled on real life stadiums and pitches. The graphics can make you feel like you are actually in the stadium or standing next to the race track. Normally, there is even commentary to go with the events and a highlight reel featuring attempts on goal was shown after each goal. Some of the big name bookmakers even have fans singing the clubs anthem. Virtual betting is sometimes seen as an amusement to serious sports bettors who tend to adopt a rather sneering attitude towards the whole fantasy world. However, bookmakers would not offering the wagers if there wasn't profit to be made on both sides. Thus, betting virtual sports should not be something to be dismissed. Matches and events are streamed with a high quality video and you can bet twenty-four hours a day which giving punters an endless source of gambling opportunities. While virtual sports betting is different from normal betting in regards to length of an event and frequency there is some similarities. For example, in virtual sports if a players is injured in the real world, he will be injured in the virtual world too. This makes it just as exciting for betting veterans as betting on virtual teams means having to track individuals online and off to secure a victory. Furthermore, with virtual betting you often have to put aside the knowledge about teams that you have built up in your study of the real sport and just concentrate on the player profiles given by the bookies which adds to the reward factor from virtual sports. There are also some disadvantages associated with virtual sports betting. One of the main disadvantages is that there is temptation to place more bets and spend more money as events are so frequently in the virtual environment. This could also lead to developing an gambling addiction. Another disadvantage is that it is purely virtual which means there are less factors to analyse, which takes from the thrill associated with sports betting. For example, players only consult the odds offered on the site in which they are playing unlike real sports betting where they would search different sites for the best available odds. Additionally, there is no need to study or research the current form of a team's best players or news or take into account a game at home which takes away from theory behind sports betting. Furthermore, betting on virtual sports only imitates the real concept of the sports betting. It does not match the thrill of your real sports team winning or betting on real sports.